What is SPECIFIC Canine Everyday Adult Medium Breed dry food? 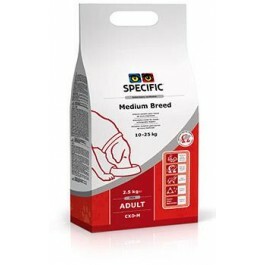 SPECIFIC Adult Medium Breed is a complete and balanced dry food for adult dogs weighing 10 - 25kg. The recipe contains high levels of Omega-3 from fish help to support healthy skin, coat and joints. The added beta-glucans from yeast help support the immune system. This diet contains moderate calorie content to help maintain ideal bodyweight. The diet is made from highly digestible ingredients and contains added prebiotics (FOS) to promote good digestive health. This food is suitable for adult dogs weighing 10 - 25kg. What are the benefits of using SPECIFIC Canine Everyday Adult Medium Breed dry food? 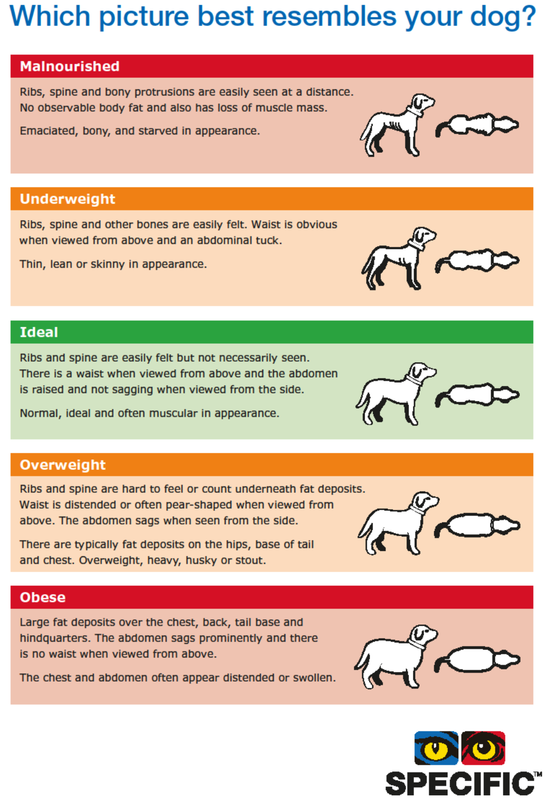 What is in SPECIFIC Canine Everyday Adult Medium Breed dry food? Crude Protein 22.5g, Crude Fat 11g, Carbohydrate 51.3g, Crude Fibre 1.7g, Calcium 0.68g, Phosphorus 0.64g, Sodium 0.18g, L-carnitine 30mg, Omega-3 0.63g, EPA 0.15g, DHA 0.2g, Water 8.5g, Ratio n-3:n-6 1:3. 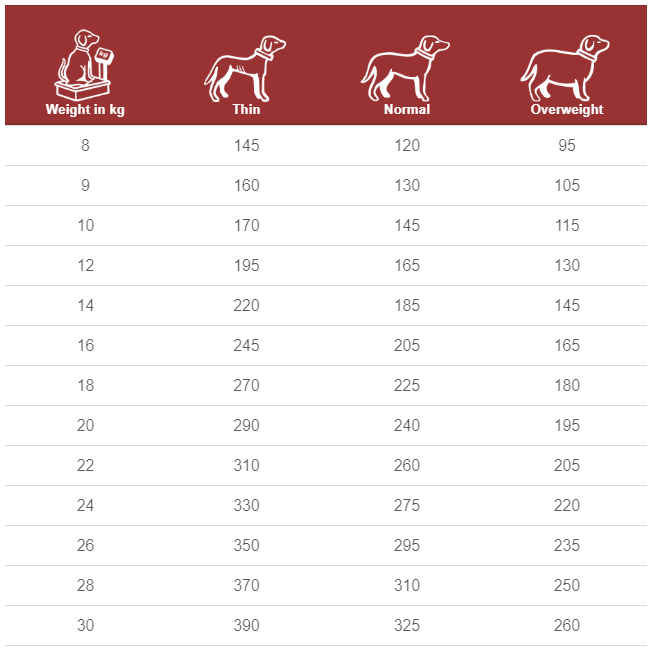 How much SPECIFIC Canine Everyday Adult Medium Breed dry food should I feed?